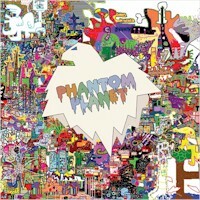 "Phantom Planet" brzmi jak mieszanka My Bloody Valentine, Fugazi, Elvisa Costello & The Attractions, Wire, Gang of Four, Guided By Voices, The Who, The Cure, The Replacements, The Jam, A Certain Ratio, Bad Brains, A.R.E. Weapons, Blur, Chik Chik Chik, The Flaming Lips, The Clash, Television, The Specials, The English Beat, wczesnego U2, Seana Paula, Magnetic Fields i Led Zeppelin ze wszystkim innym, co wam przyjdzie do głowy. Po prostu.